The employment law area is extremely complex and complicated being covered by over 40 separate pieces of legislation. 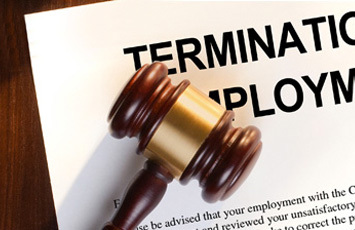 Hence, whether you are an employer or employee, you need sound and practical legal advice and assistance whether it is entering into the employment relationship, maternity leave, disciplinary matters, bully and harassment, discrimination issues or termination of the contract of employment. Quite often, clients are unaware of the fact that there are very tight and strict time frames for bringing claims. These time frames differ depending on the type of claim being made and under which legislative provision. We have successfully represented our clients in all tribunals including before the Rights Commissioners, Labour Relations Court, Employment Appeals Tribunal and Equality Tribunal, as well as, the Circuit Court and High Court. Free initial consultations are available in most cases on a no obligations basis. Times for these appointments are flexible to suit work and other commitments.